If you are a loyal Apple user, you know that very rarely do things go wrong with your computer or iPad. There is a reason that the war between Mac and PC is so heated because while Apple may have a few idiosyncrasies that Windows does not have, there is no doubt that Windows will have more problems with their systems. But just because you own a Mac and are a loyal fan of Apple, doesn’t mean you are completely immune to having problems arise. So what happens if you do have something come up? Not many people are trained in dealing with Mac problems, and if you are the computer expert in the family, you can bet that everyone else that owns a Mac that you know will be coming to you for help. That’s fine and dandy, but sometimes you aren’t always in the proximity of said Mac and while you can see what is going on, you cannot help that person that is in computer distress. Many big companies that deal with computers allow some sort of screen sharing for tech support that can easily allow for them to get into your system, and do exactly what needs to be done to fix the problem. Well now let’s look at three wonderful ways to do the same thing with your Mac if your grandmother calls needing tech support from her brilliant grandchild. 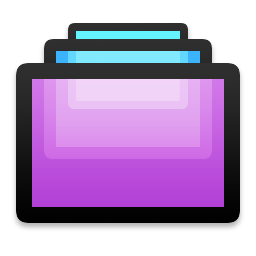 Everyone who has a Mac knows that because they run on a different operating system, you need different ways to get into the good stuff in order to fix. Screens is a virtual networking computing solution that was developed for iOS. With this program you get support for clipboards. Plus you can have multiple displays showing and a customizable toolbar. This is a great program to have so you can even access your own Mac screens from a distant computer if you are traveling. This feature is a bit more expensive, but if all you are looking for is some sort of temporary access to help out a friend or family member, the free service works just fine. In order to get this going, you need to go to the developer’s website, which would be Edovia. There you are able to download the latest version of Screens, which is Screens 3.0. Once the program is installed, Screens Express will confirm that the router is set up properly, and if it is not, it will go through the process of opening a public port that is adept at aiding in the incoming remote connection between computers. After getting everything installed there is a matter of getting a username and password that will allow all the new configurations to get started. Once you are finished with all the bureaucracy of installing Screens, you can finally get started with connecting the two computers. As the remote user of Screens, you will see a green dot with a confirmation of successful connection. You’ll see the Mac in question that you will want to connect to. Once all of this is set up, you are good to go. Just make sure that the other Mac allows for the connection to be authorized and you are set to help fix their problems. While Screens may be a little more expensive for perhaps the amount of times you will use it, it definitely makes your life easier when you need to fix something or even if you need to get on your own computer from somewhere else. If you are more apprehensive about paying for the Screens program in order to share screens, then fret not because there is a free option for you to use. You don’t always have to shell out the money in order to get the programs to use to fix tech problems. With TeamViewer, you can get all the beauty of sharing screens but you won’t have to shell out any money for it. 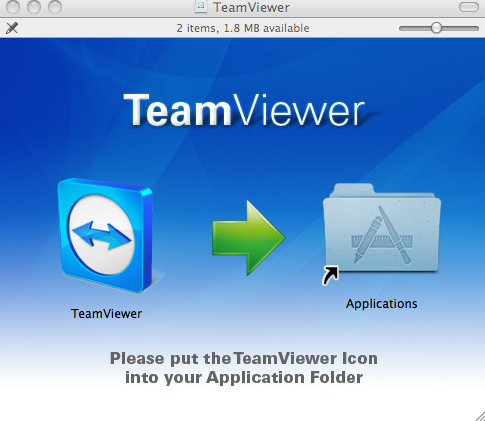 The great thing about TeamViewer is that you not only get the ability to remote share screens, but they include everything from video chatting to being able to share files and presentations between Macs. Another great and easy factor in this program is not having to have a separate user name and password. They will give you a randomly selected ID code and numbered password. So you save a step in having to register for this program. To get started all you need to do is go to the home page for TeamViewer and download the full version of this program. As for your friend or family member in need, they need to download the TeamViewer QuickSupport program as they will not need to worry about as much as you will from your remote connection. Have them tell you the numbered ID that is generated as you will need to plug it into your program in order to get started. Once you get it going, you are able to access the other computer and get to work. It’s not as pretty as Screens but for not paying a penny for it, there is no reason for it to be. These days we don’t always have to rely on programs to help us see someone else’s computer. If your friend or family member owns any mobile device or tablet that allows for video chatting, then you can use this for free and you can see the computer on the other side. Just start a video chat with the person in need and have them direct the camera toward the computer screen. You can then walk them through whatever help they may need. If all else fails, and something bigger is the problem, then a trip to the Genius Bar may be in order. But don’t take that as your first option, you always have more!